Henneth Annun, Pt. 2: Faramir commands Frodo to rise and come with him. This is a suspenseful scene, beautifully done. Up to this point Faramir in the film has been presented as an ambivalent character. He maintains a steely facade, difficult to read, but plainly keeps strong emotions in check. 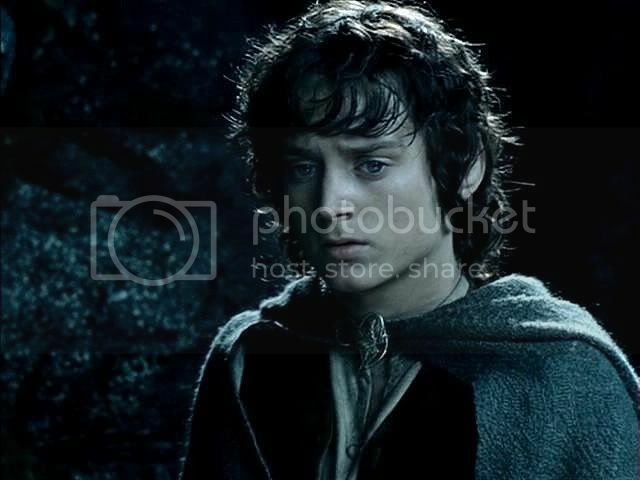 When he wakes Frodo and orders him to come with him, what must Frodo expect? Certainly not to look at the view, or even at Gollum. 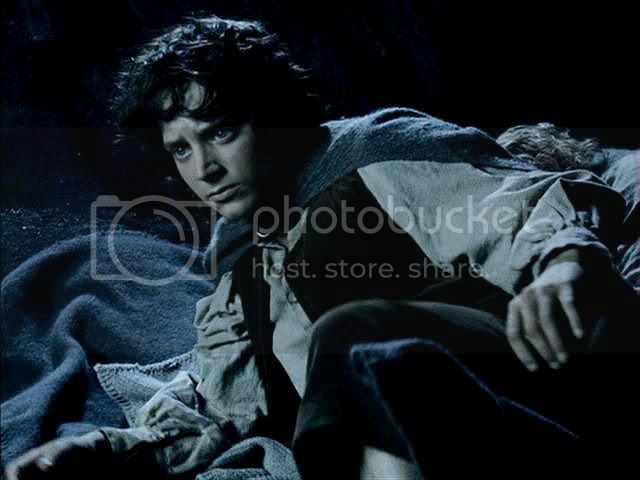 The film viewer doesn't know any more than Frodo does. Even book fans might wonder what is going to happen, since film Faramir is already different from book Faramir in significant, ominous ways. The art design for this moonlit scene—the spray from the falls behind Faramir rising like a moon-spun mist as he beckons, and the dark, gleaming grotto down below—is exquisite even for this film. Film scene: from The Two Towers. After the EE flashbacks Faramir sits lost in thought until one of his men approaches, speaking softly. Ranger: Captain Faramir. We found the third one. 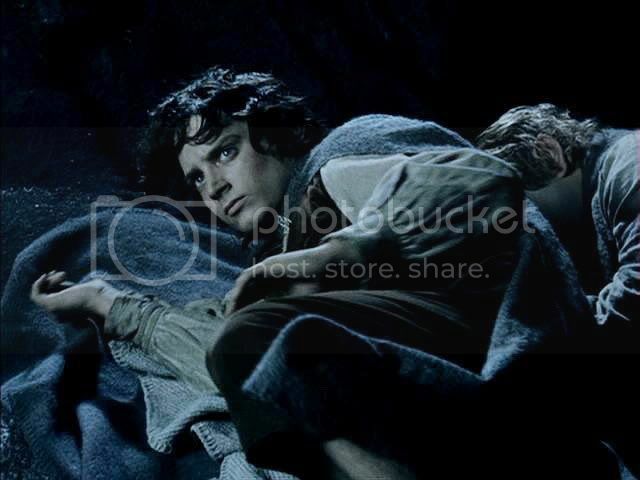 Faramir walks to where Sam and Frodo are sleeping, ordering Frodo to get up. Faramir: You must come with me. Now. 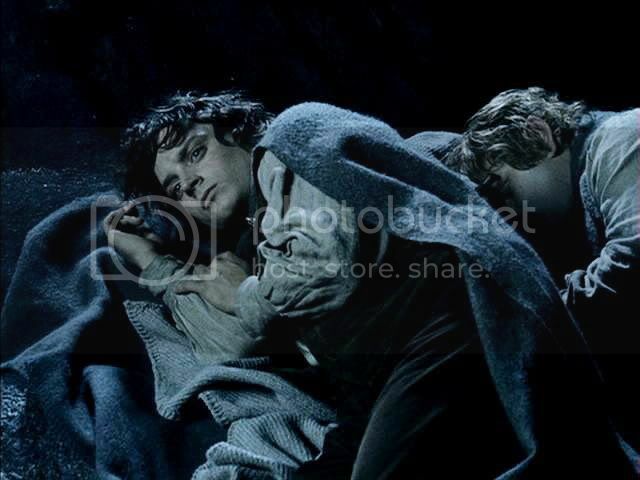 Frodo follows Faramir outside to a rocky ledge looking out at a moon-drenched scene. Leading him further out, Faramir points. 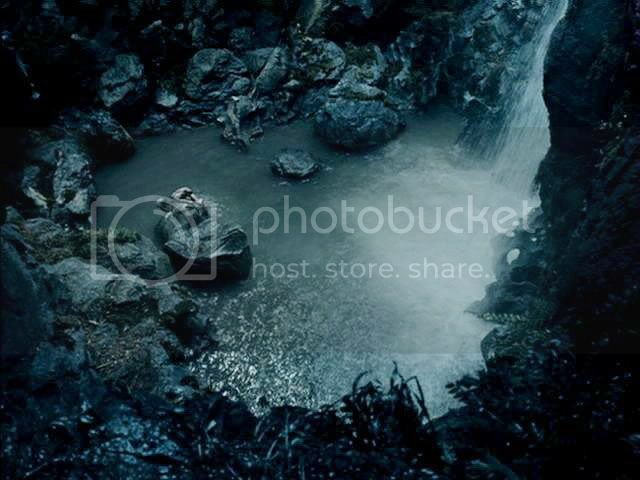 Frodo looks down and sees Gollum diving into the pool at the foot of the falls. 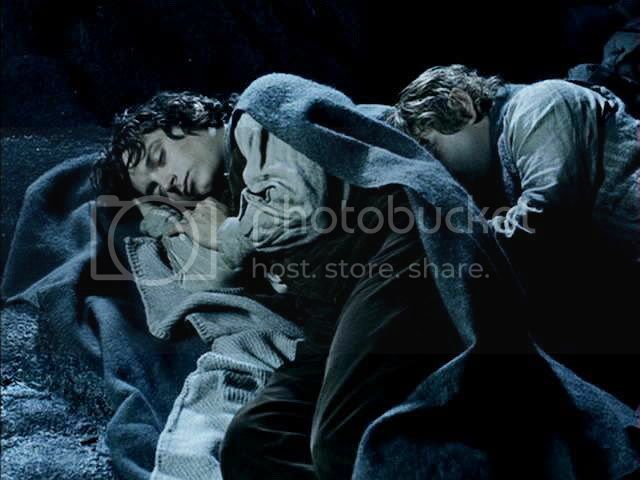 Frodo woke to find Faramir bending over him. For a second old fears seized him and he sat up and shrank away. ‘There is nothing to fear,’ said Faramir. ‘Is it morning already?’ said Frodo yawning. 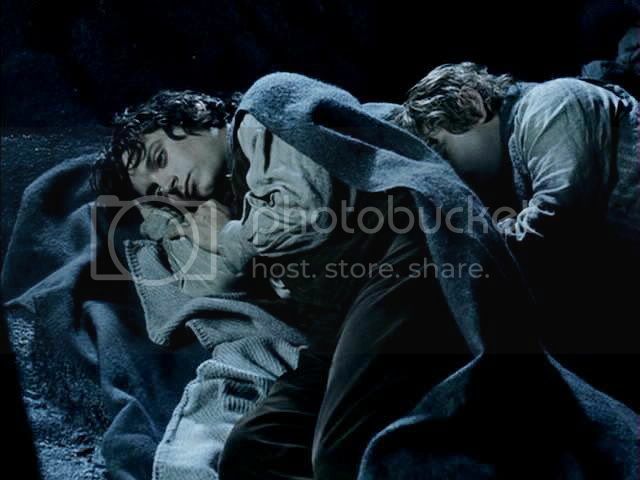 ‘I will,’ said Frodo, rising and shivering a little as he left the warm blanket and pelts. It seemed cold in the fireless cave. The noise of the water was loud in the stillness. He put on his cloak and followed Faramir. Sam, waking suddenly by some instinct of watchfulness, saw first his master’s empty bed and leapt to his feet. 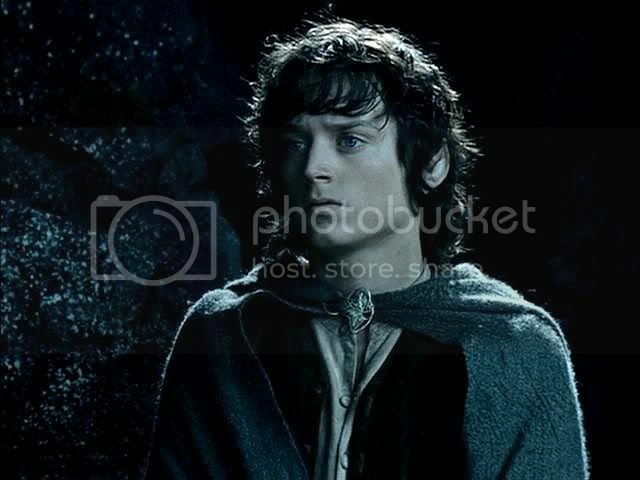 Then he saw two dark figures, Frodo and a man, framed against the archway, which was now filled with pale white light. He hurried after them, past rows of men sleeping on mattresses along the wall. As he went by the cave-mouth he saw that the Curtain was now become a dazzling veil of silk and pearls and silver thread: melting icicles of moonlight. But he did not pause to admire it, and turning aside he followed his master through the narrow doorway in the wall of the cave. 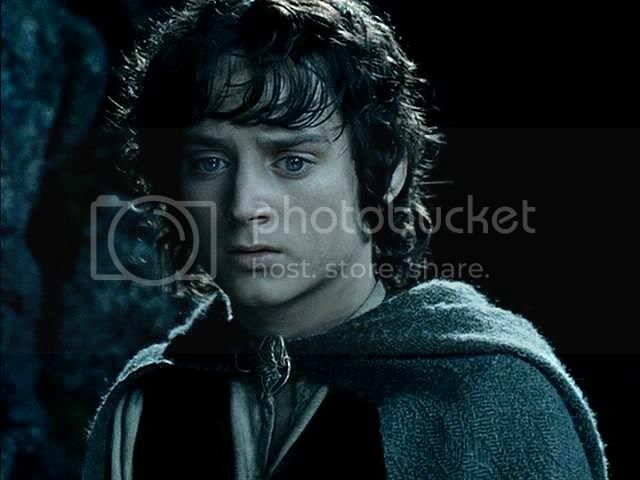 He stepped up beside the silent sentinel at the dark edge, and Frodo followed. Sam hung back. He already felt insecure enough on this high wet platform. Faramir and Frodo looked down. Far below them they saw the white waters pour into a foaming bowl, and then swirl darkly about a deep oval basin in the rocks, until they found their way out again through a narrow gate, and flowed away, fuming and chattering, into calmer and more level reaches. The moonlight still slanted down to the fall’s foot and gleamed on the ripples of the basin. 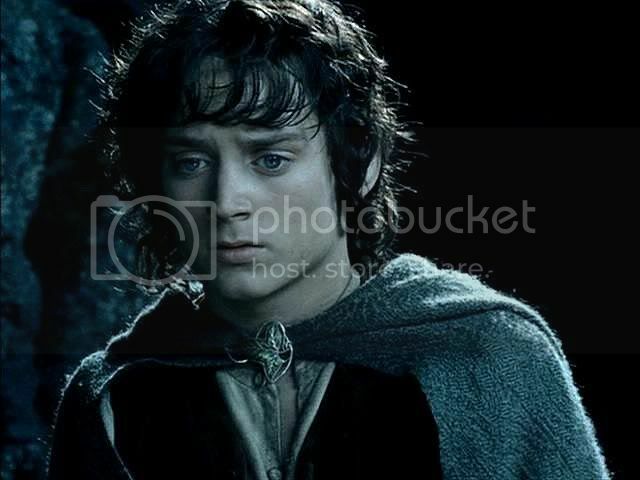 Presently Frodo was aware of a small dark thing just beyond the boil and bubble of the fall, cleaving the black water as neatly as an arrow or an edgewise stone. ~ Faramir orders Frodo to come with him. Faramir leads Frodo outside onto a rocky ledge, the full moon shining over Anduin. Faramir points to the Forbidden Pool below. ~ HA 1 ~ Faramir questions Frodo and Sam. ~ HA 2 ~ “Come with me!” Faramir tells Frodo. 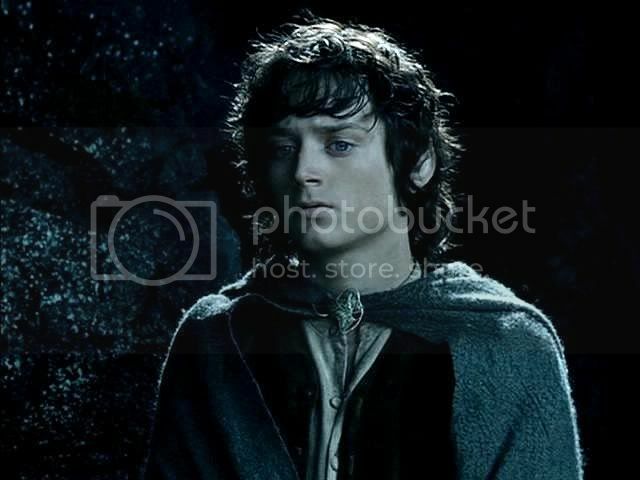 ~ HA 4 ~ “Trust Master!” ~ Frodo tries to persuade Sméagol. ~ HA 5 ~ “Don’t hurt him!” ~ Faramir’s men capture Sméagol. ~ HA 6 ~ The Goons of Gondor: the EE interrogation of Gollum. ~ HA 7 ~ “The Ring is taking me, Sam”. ~ All Frodo and Elijah screencaps. These are so beautiful. I really enjoy your screencaps though I often don't have time to comment on them. But today I just *had* to take the time... I love the shots of Henneth Annun in the movie, probably mostly because they match so very closely how I had pictured it in my own mind's eye. 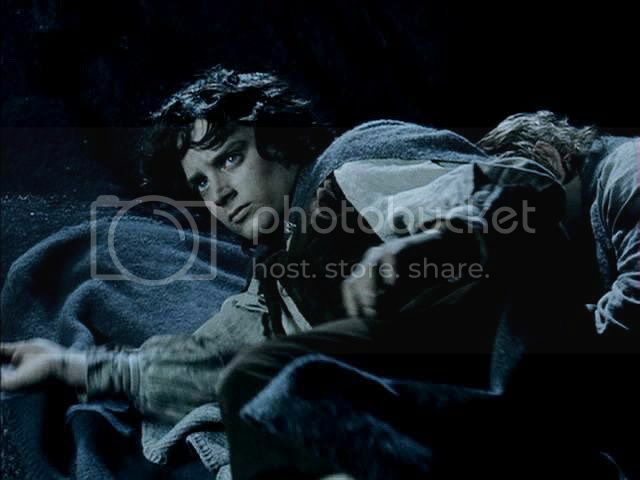 In fact, the second shot under the "Faramir leads Frodo outside onto a rocky ledge, the full moon shining over Anduin." heading is the shot I have for my desktop, bisecting the screen, with a green background. I simply love that shot. Thank you, Aspenjules. I've always thought that scene in which Faramir is beckoning to Frodo with that distance view under the full moon is too wonderful. Howard Shore's music under this scene is exactly right, too, conveying awe at the beauty of it all along with tension and suspense, since who knows what is going to happen? I love this passage and the way the film really mirrored the book in many ways. Visually you can feel what is happening (a little lie being overturned by Frodo)and its beautifully filmed. In reading the passage again...I can see the movie scenes in many ways. There's a lovely balance of awe and tension in this scene. I was just saying to Aspenjules how great Howard Shore's music is for this scene. Just perfect. I know I keep saying it, but seriously...I am breathless by his beauty! I love this scene in the movie, too! 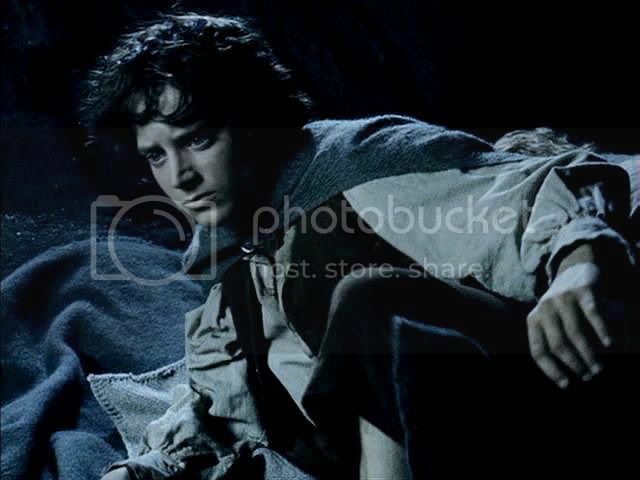 Yes, it's a very well-done scene, and Frodo is a GOD in it. Yeah, the art people on this film deserved their Oscars ten times over. I can't believe what talented people PJ was able to bring on board, and who turned out such great work seemingly without cease. At least Film Faramir is a handsome dude. And he acts well. And he's lovely in ROTK, at any rate. And that art design is GUH! As is Frodo. 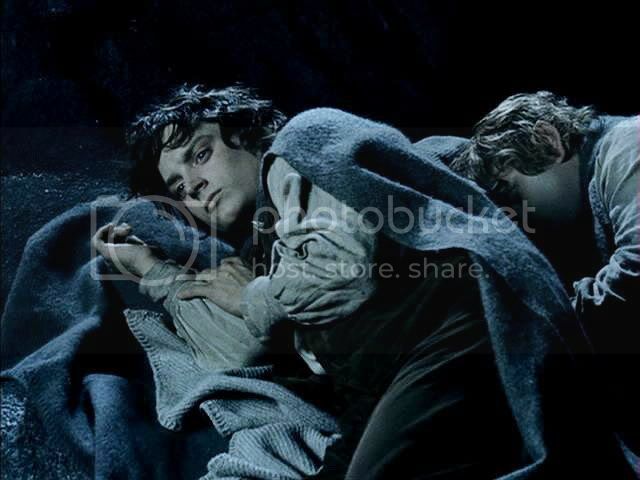 This is one of my favourite Frodo-looking-totally-gorgeous-and-hot scenes in TTT. He is a creature of moonlight himself, all silver and sable. And how expressive that beautiful face is. How sad he looks, as he gazes down at Gollum. And he's lovely in ROTK, at any rate. Yes. And I mean to give credit where it's due in RotK, but I think I'll go ahead and mention it in Pt. 6, since I'll otherwise be wailing and gnashing my teeth over the Faramir presented in that scene. Yes, in RotK Faramir seems to have come back from a miracle cure, affecting him far more deeply than the one he experiences bodily in the Houses of Healing. He is a creature of moonlight himself, all silver and sable. Ah, that's it, Pearl. Lovely turn of phrase. How sad he looks, as he gazes down at Gollum. Actually those caps show Frodo before he sees Gollum down there. When he does see him, his eyes widen (see bottom cap). But all the expressiveness and sadness, even sorrow that you are talking about is evident in the next set of screencaps. And, yes, the art design is exquisite. Gosh! Mechling! A beautiful LJ-entry and an absolutely magnificent film scene. Thank you for the lovely screencaps! I must say that the one with Faramir standing over the pool is gorgeous. It’s a scene that made me shiver when I watched it the first time. So well made, I held my breath all the time. 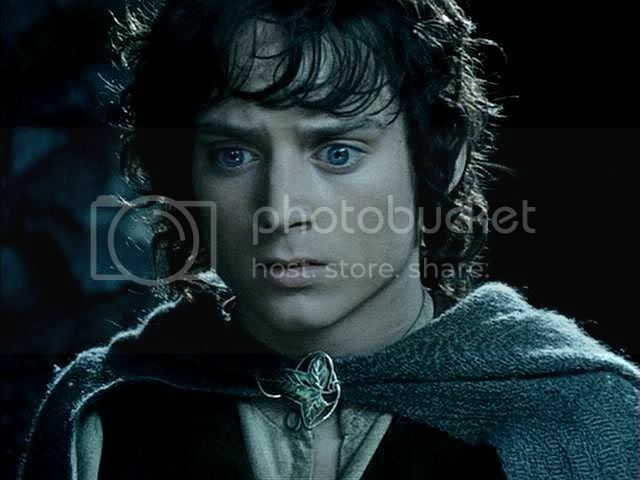 The beauty of the waterfall, the beauty of Frodo always takes my breath away. In the movie as well as in the book. The caps – I can only but stare. Absolutely beautiful. Thank you, dear mechthild for making this night magical. You're welcome, Julchen. And isn't the music absolutely wonderful for it? I just love it. It's wonderful anyway, but the way it suits the scene as it progresses is just great. You make me want to listen to the soundtrack all over again!